Particle board is a composite panel product consisting of cellulosic particles of various sizes that are bonded together with a synthetic resin or binder under heat and pressure. Plain Particle Board geometry, resin levels, board density and manufacturing processes may be modified to produce products suitable for specific end uses. 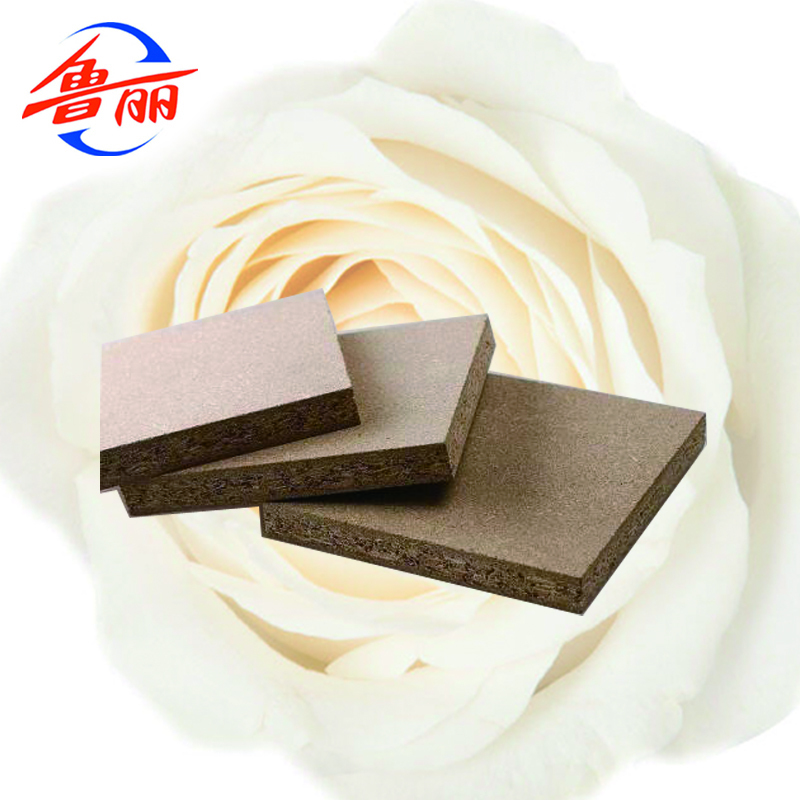 At the time of manufacture, Particle Board can be incorporated to impart specific performance enhancements including greater dimensional stability, increased fire retardancy and moisture resistance. 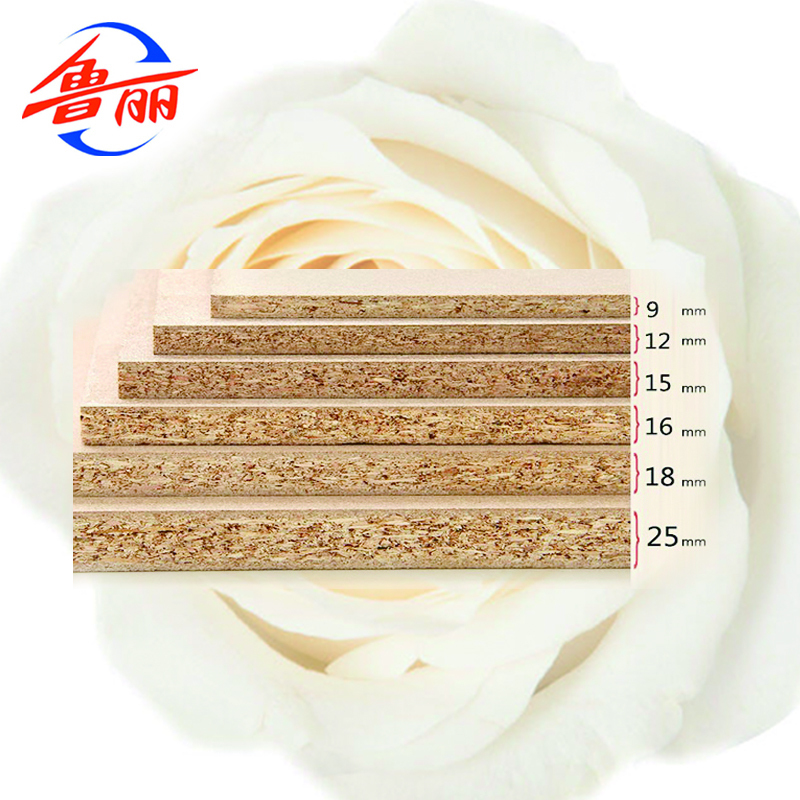 Now, plain particle board is widely used in decorative filed, such as steps, furniture, indoor table, wall panel etc. 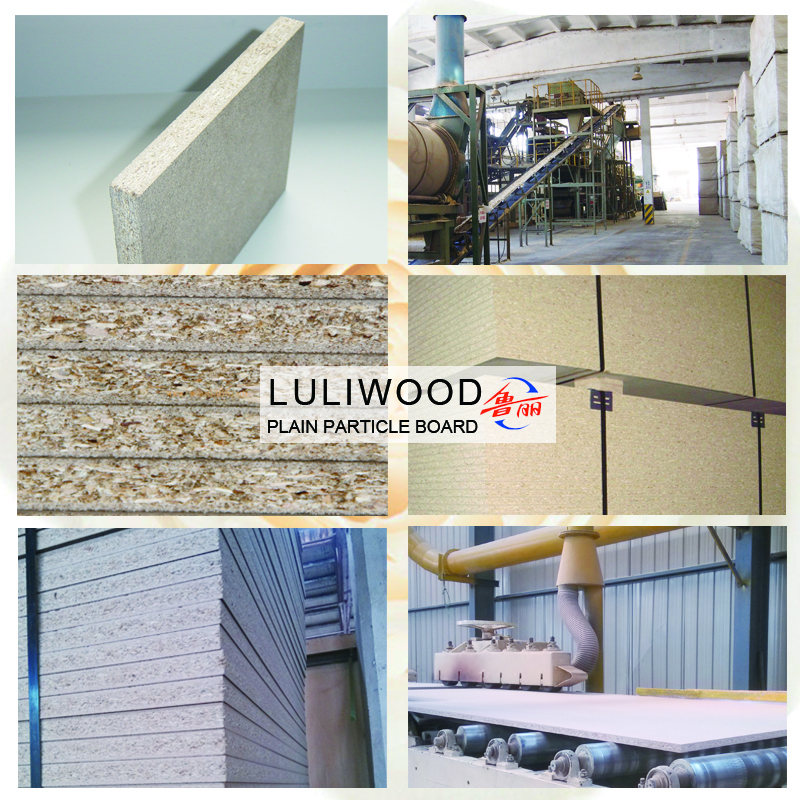 To ensure the high quality of plain particle board, Luli Group, as a professional wooden products factory in China, are checking the every step seriously during the process of particle board. QC department are testing all specification of every progress, such as thickness, weight, density, mositure, bonding strength, boiling etc. 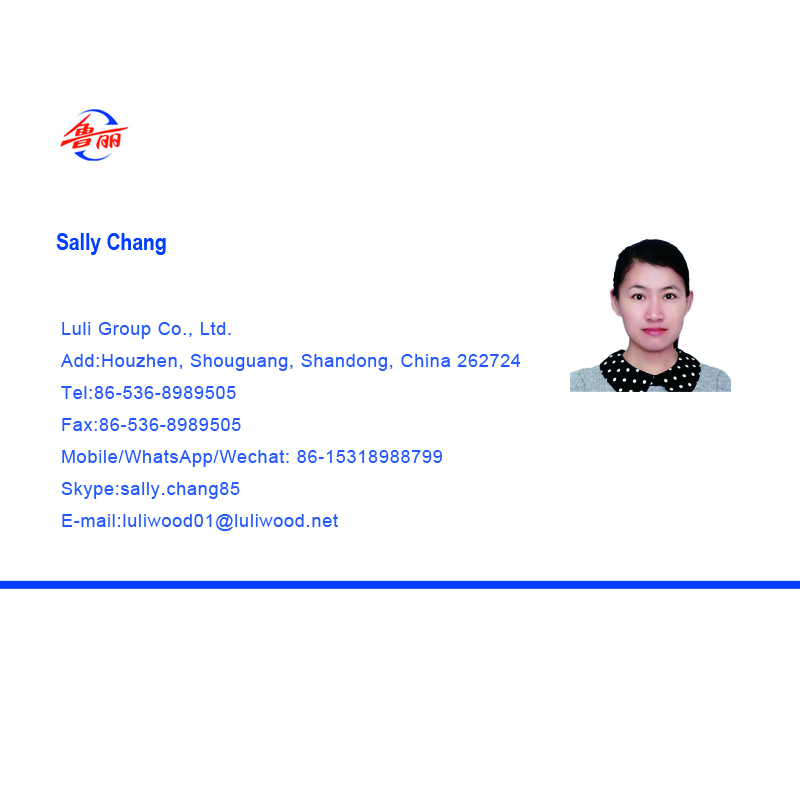 LULI Group Corp. Ltd, well known as the leading manufacturer for wooden, steel and paper products, located in Shouguang, Weifang, Shandong, China. 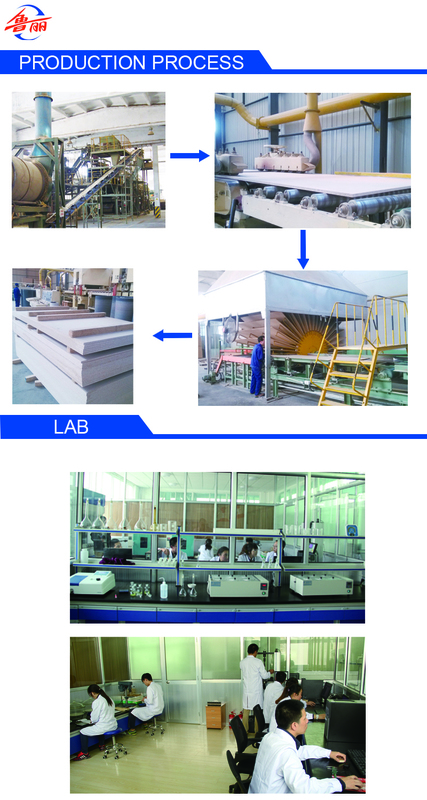 Since the foundation in 1985, it focus on the production of Commercial Plywood, Film Faced Plywood, venner, MDF , Particle board, Door Skin, Blockboard, Finger Joint Board, OSB , paper, Steel etc. Covering an area of 5,000,000 square meters, it has 14 branch factories, about 7000 professional workers and more than 500 engineers. 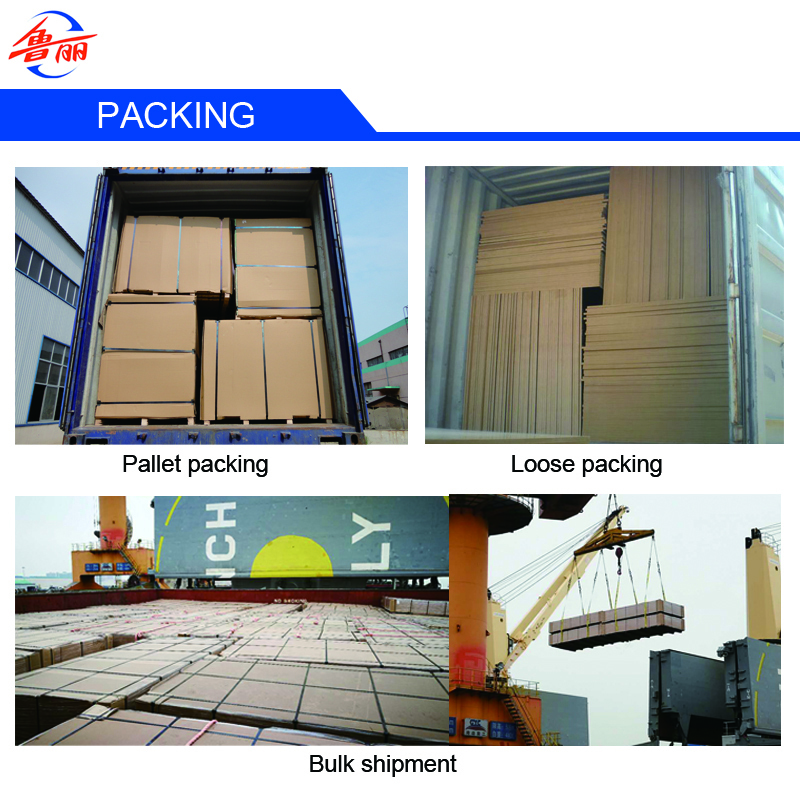 The products sell well to all over the world. 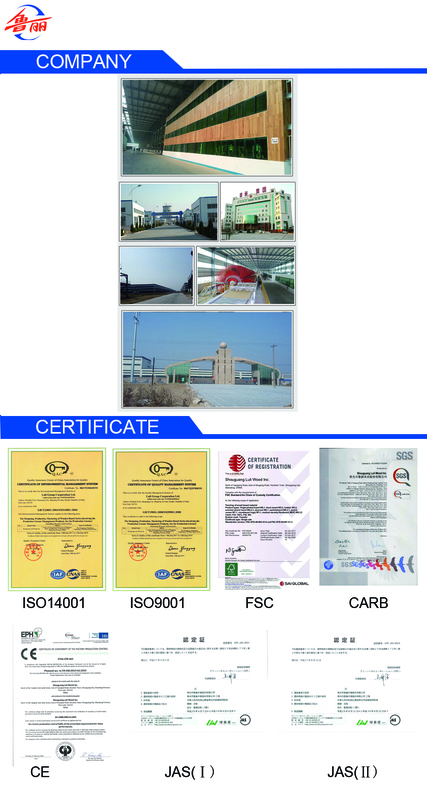 Our products are accessed as the ISO 9001, ISO 14001, the certificates of CARB, CE, FSC, JAS, JIS, SONCAP. 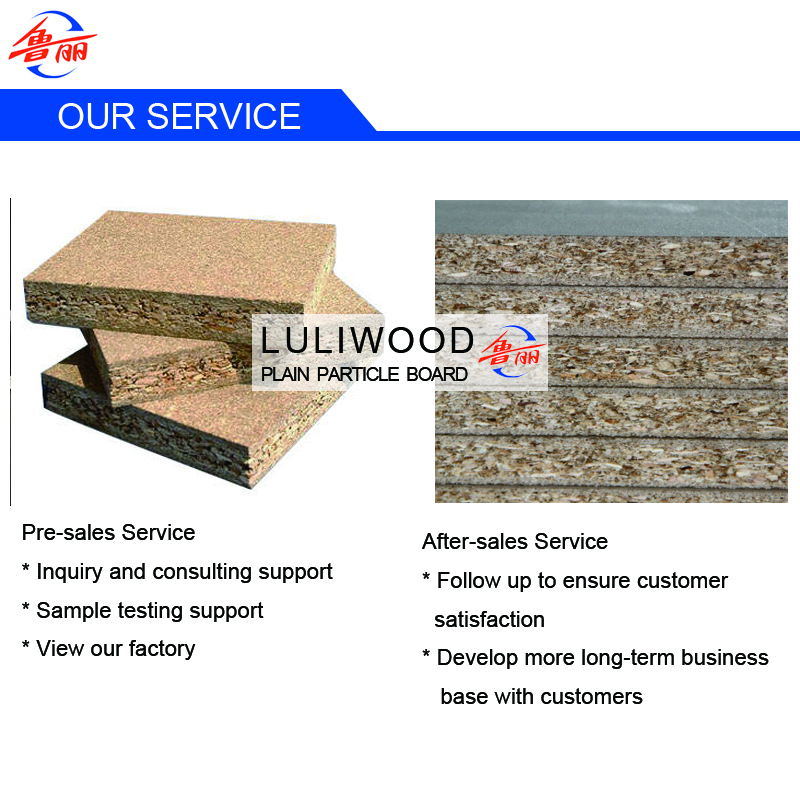 To ensure the quality of plain particle board and saving time, Luli offer one-stop service, from the inquiry, packing, shipment and after-sales service. Looking for ideal Plain Particle Board for Decorative Surface Manufacturer & supplier ? We have a wide selection at great prices to help you get creative. 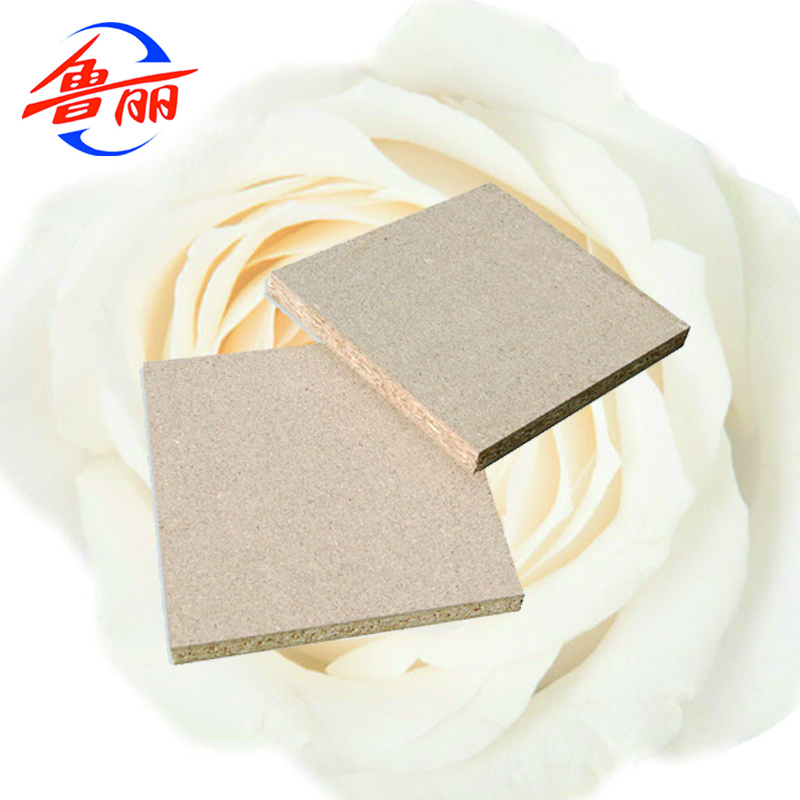 All the Particle Board for Decorative are quality guaranteed. We are China Origin Factory of Furniture Particle Board. If you have any question, please feel free to contact us.